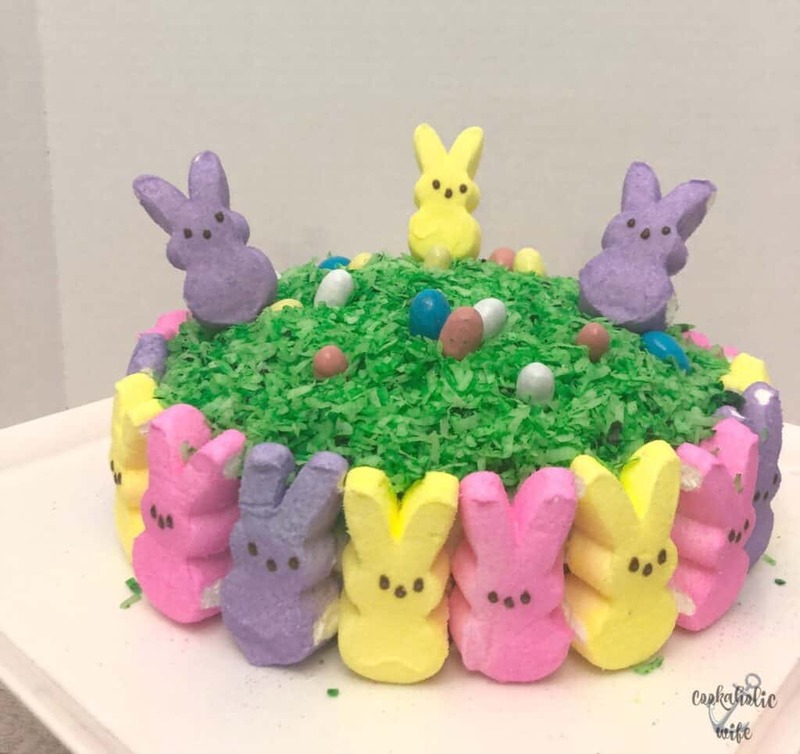 Peeps Easter Bunny Vanilla Cake is a simple made-from-scratch cake, topped with a coconut buttercream frosting and decorated with PEEPS marshmallows and Easter candies, perfect for your Easter dinner dessert table. Either way, I think you’re absolutely going to love this cake. I mean, how could you not? 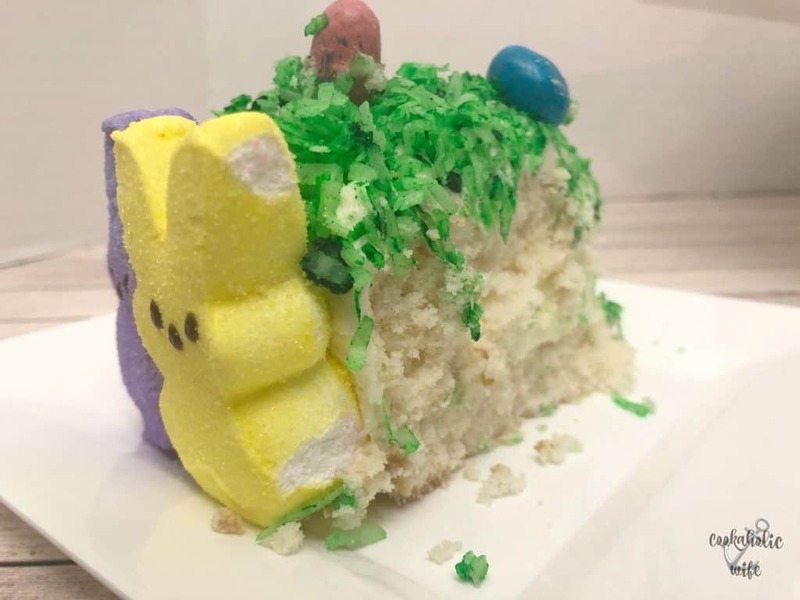 Vanilla and coconut are the perfect flavors for spring and who doesn’t love those PEEPS marshmallow bunnies? This cake is also really easy to assemble. 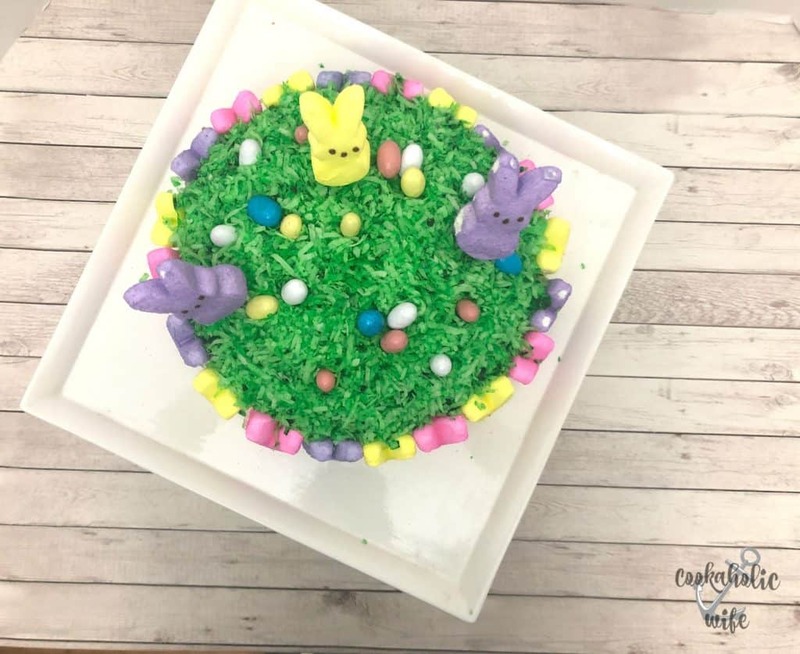 You can make the frosting and coconut grass while the cake is either baking or cooling and once you get it frosted, it only takes a few minutes to go from simple vanilla/coconut cake to completely adorable and ready to impress. I only had a bite of this cake, but it is perfectly light and sweet. Using coconut extract in frosting is one of my favorite ways to really impart that coconut flavor, but it still manages to not be over the top. Don’t forget about the awesome giveaway that you can win. Enter below or lick back to my Individual Italian Easter Breads and enter from there. The #SpringSweetsWeek giveaway is open to residents of the United States who are 18 years of age or older. All entries for the winner will be checked and verified. By entering you give the right to use your name and likeness. The number of entries received determines the odds of winning. Six (6) winners will be selected. The prize packages will be sent directly from the giveaway sponsors.